First, cook beans as the label directs. 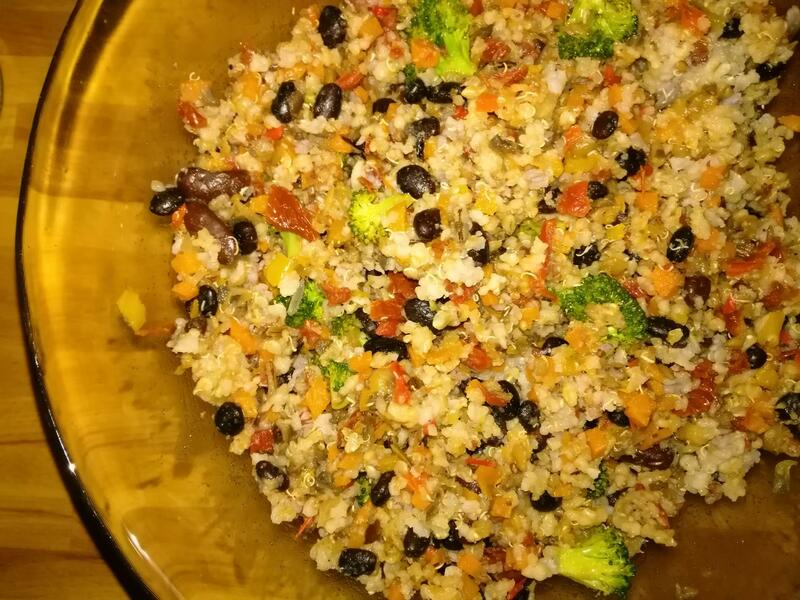 Cook rice and quinoa blend (follow the instruction on the bag of the Sprouted Rice and Quinoa Blend). 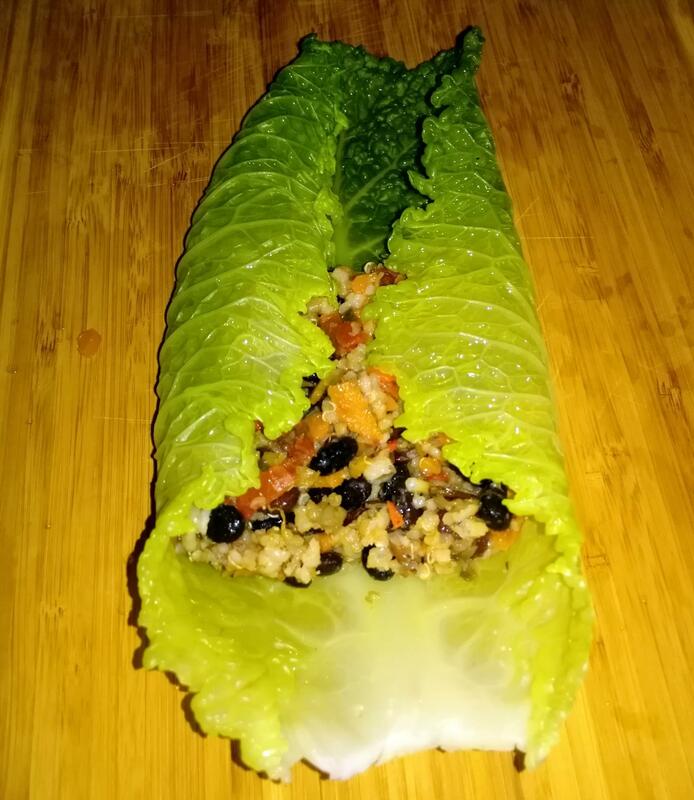 Meanwhile, dice all vegetables. For celery roots I prefer shredding. Sauté onion, red and yellow pepper in 2 tablespoon coconut oil in a large skillet. Add mushrooms, carrots, celery, sun-dried tomatoes. 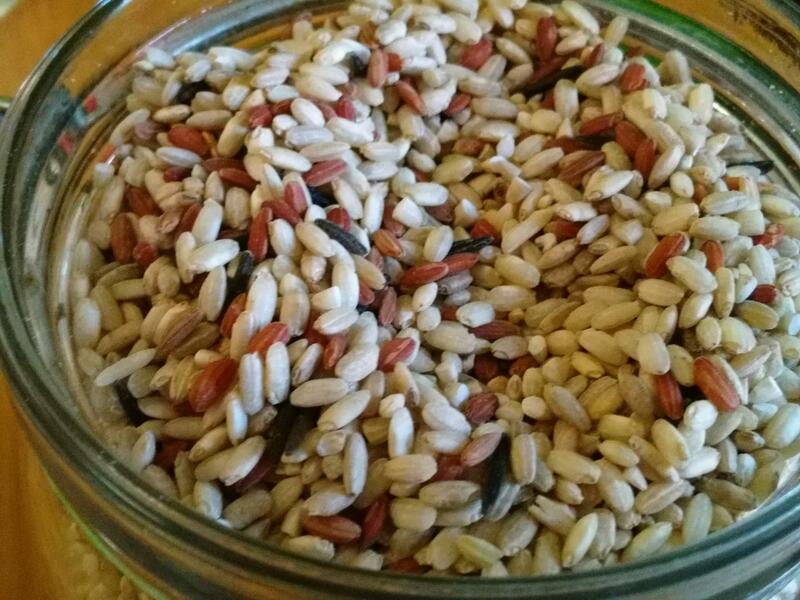 Reduce heat, add 1/4 a cup of water, stir occasionally and cook until softened and water absorbed. 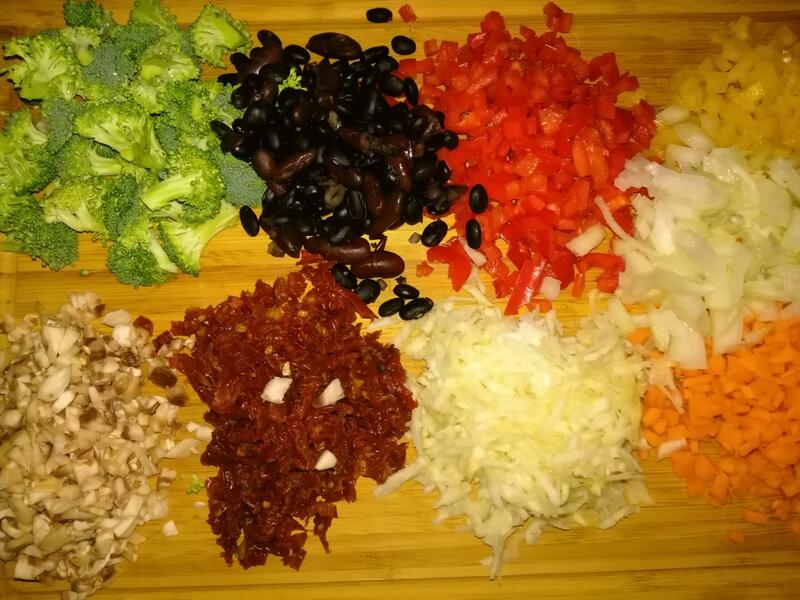 About 3 minutes before the end, add broccoli and cooked beans. 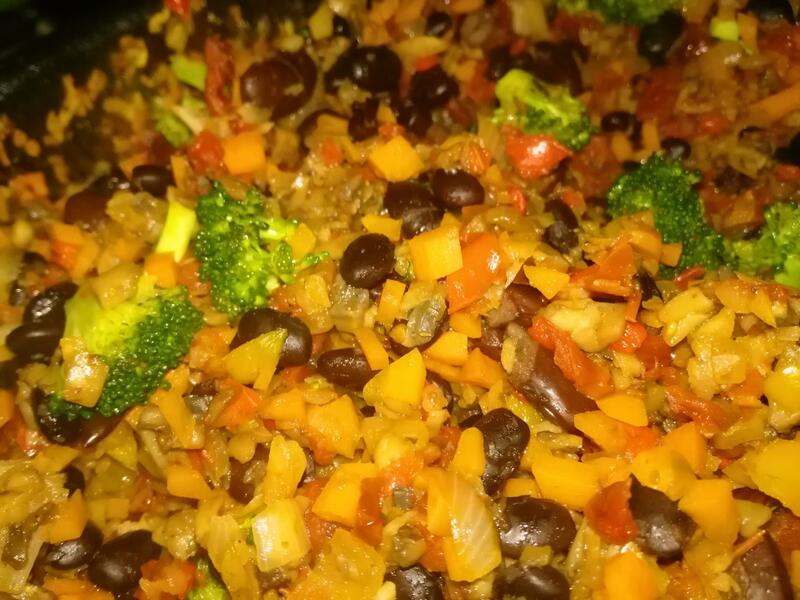 Add cooked rice and quinoa blend to all vegetables, mix well, season with salt and pepper. Leave aside and allow to cool. 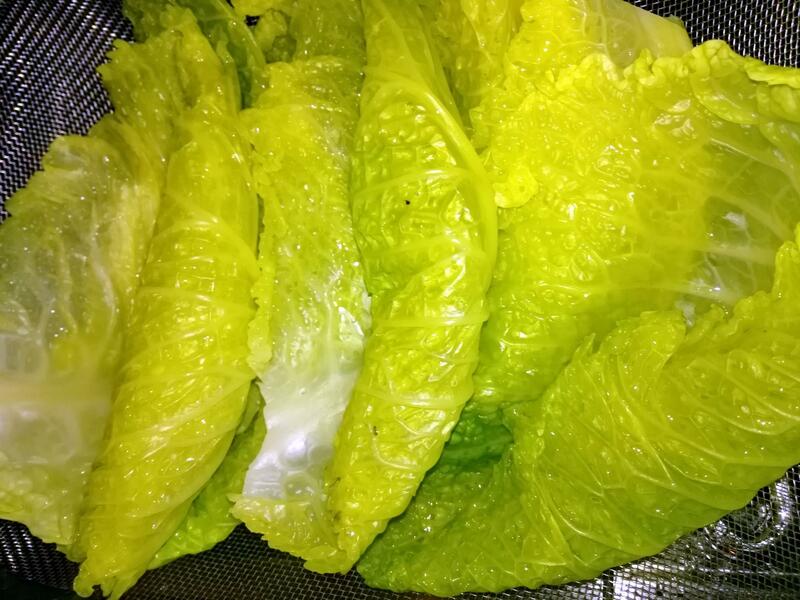 Separate the leaves from cored savoy cabbage, then wash thoroughly and dry. 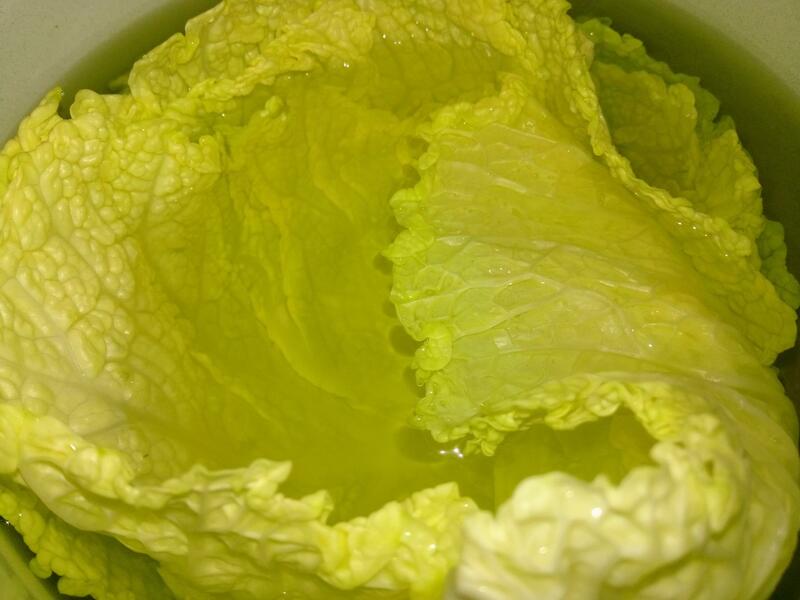 In a large pot bring water to a boil and place the cabbage leaves and cook them for 4-5 minutes until softened. 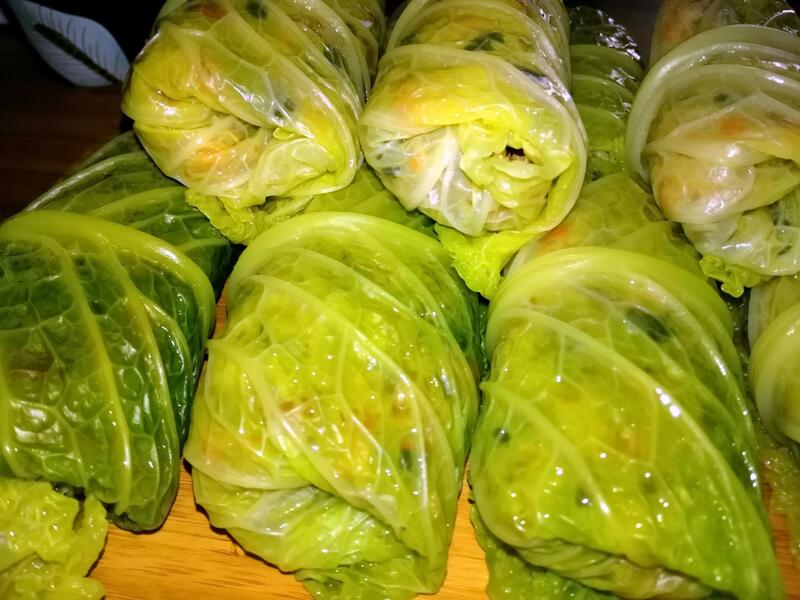 Pull out and dry, choose 8-9 leaves for stuffing. 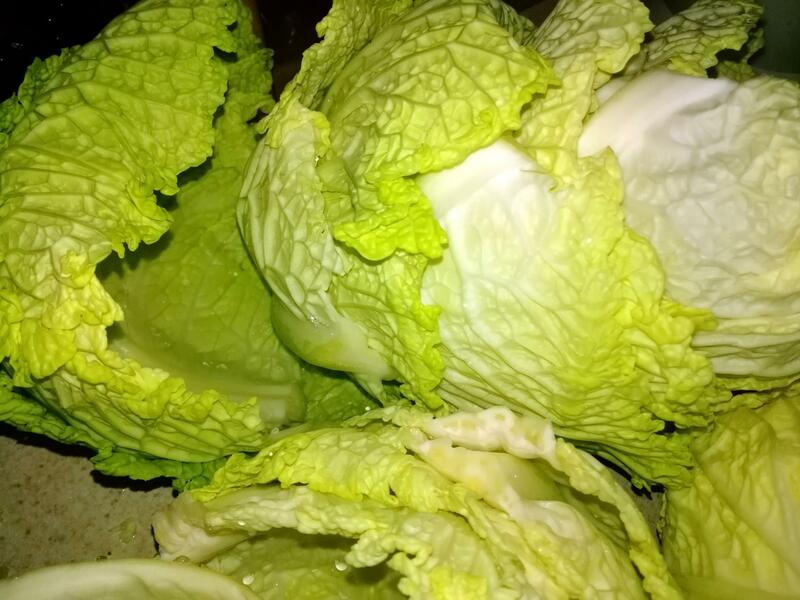 Trim thick center vein off of the bottom of each cabbage leaf. 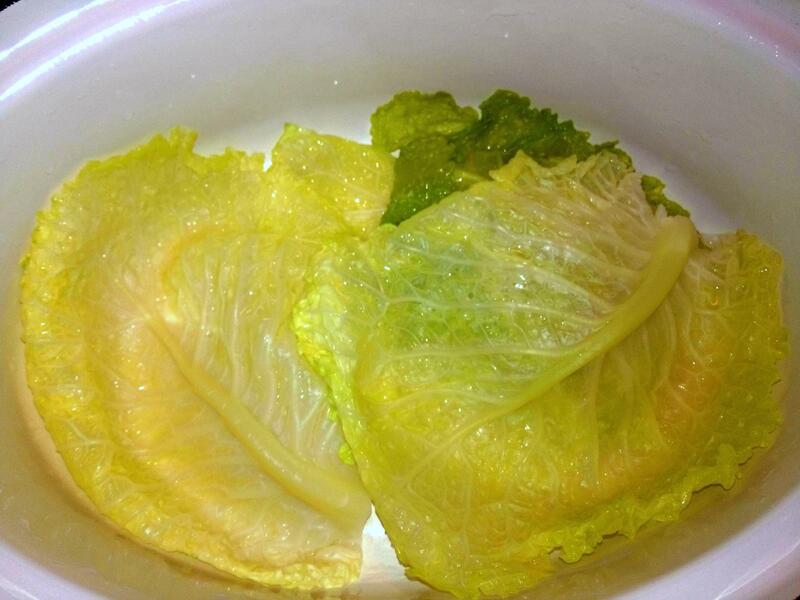 Place 2-3 tablespoons of mixture in the center of the cabbage leaf. 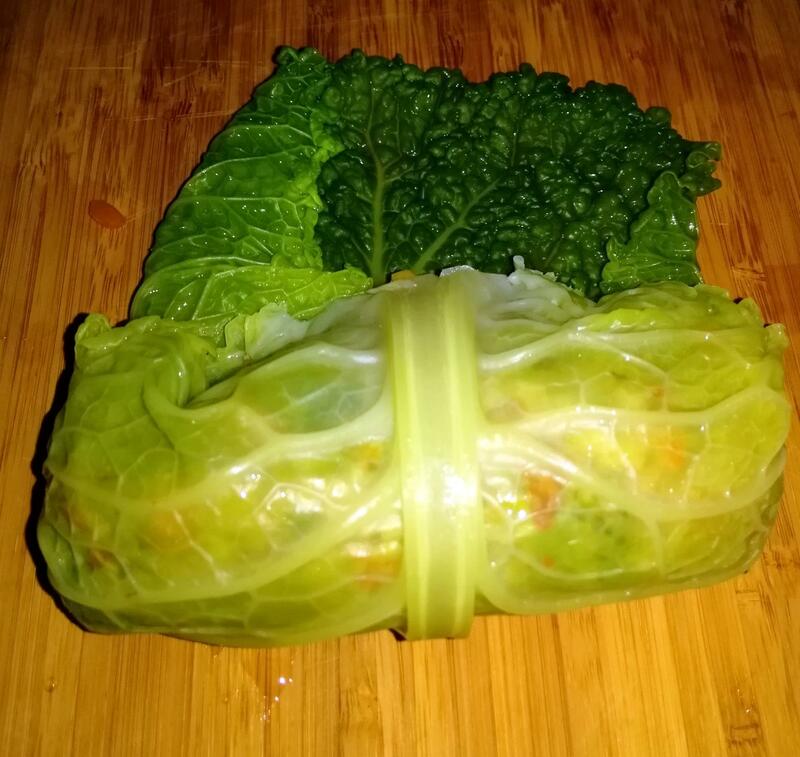 Fold sides over the filling and start at the stem and roll the cabbage up until the filling is encased. Repeat with remaining leaves and filling. 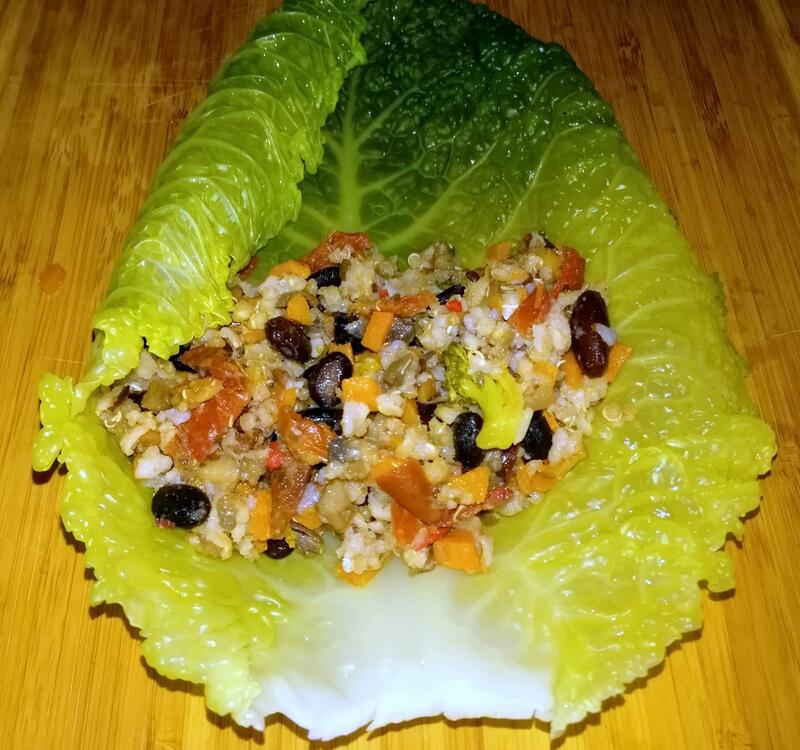 Leftover leaves place into the bottom of a roasting pan. 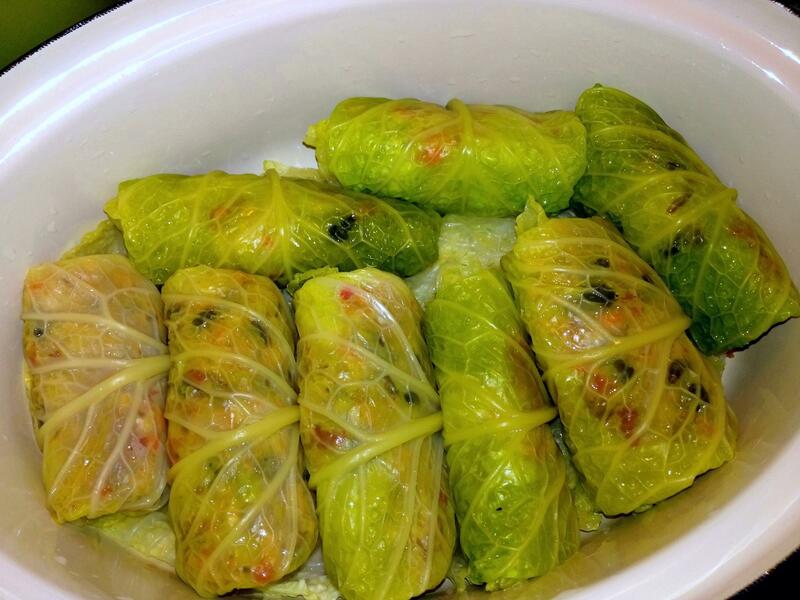 Layer the stuffed cabbage rolls over the cut leaves. 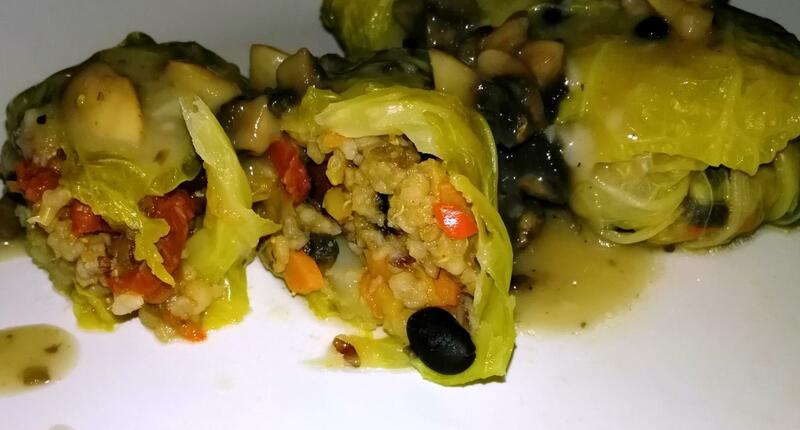 Pour the vegetable broth over the cabbage rolls, so all the stuffed cabbage were covered. Simmer covered over low-medium heat until the cabbage is soft, about 40 minutes.